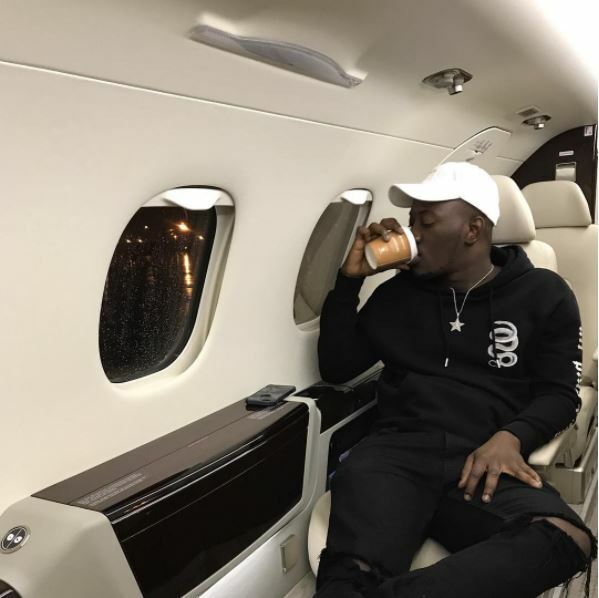 Nigeria might be without talented singer, Dammy Krane for about 15 years as he faces prosecution for financial crimes in the United States of America. 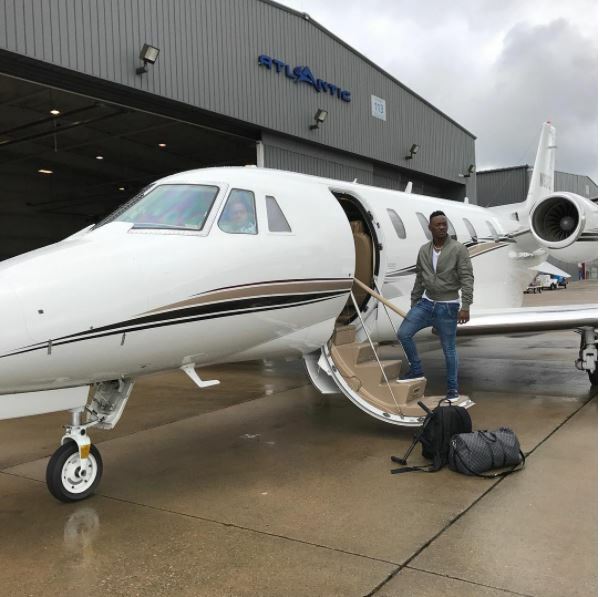 Nigerian singer, Oyindamola Emmanuel popularly known as Dammy Krane has landed in hot soup on foreign soil after being accused of fraud in Miami, Florida – United States of America. 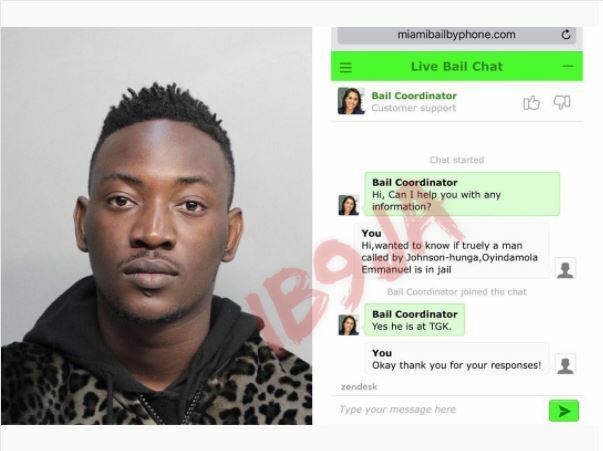 He was arrested by security operatives yesterday evening for grand theft, credit card and identity fraud and is currently being held at the Turner Guilford Knight Correctional Center, Miami, Dade County on confirmation from an online bail officer. 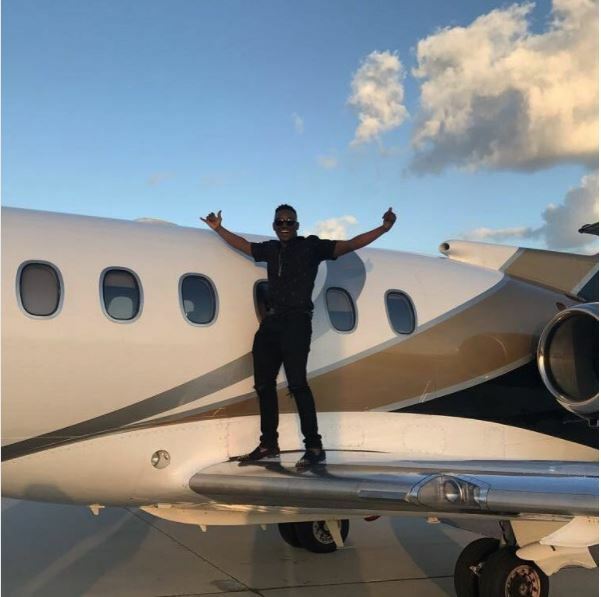 The former Hypertek singer whose career has gone cold due to lack of musical hits allegedly used a stolen credit card in giving himself a luxury treat on a private jet, eating exotic meals as well as sharing pictures on Instagram to impress his fans. 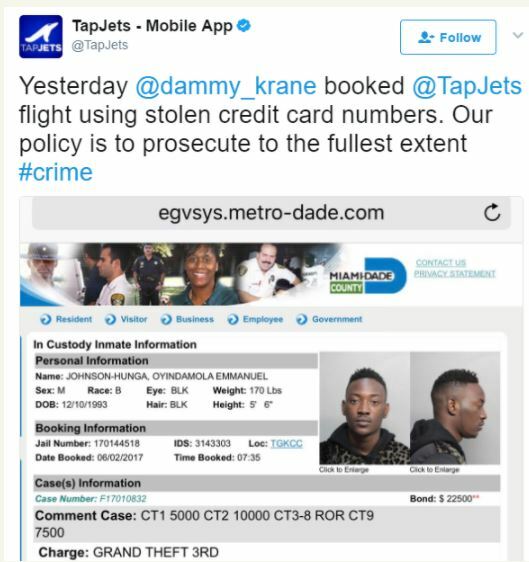 The verified twitter account of Tap Jets, a private airline company has come out to claim responsibility for handing the singer over to the police tweeting that he attempted to book Tap Jets flight using stolen credit card numbers. They vowed to prosecute him to the full extent of the law. 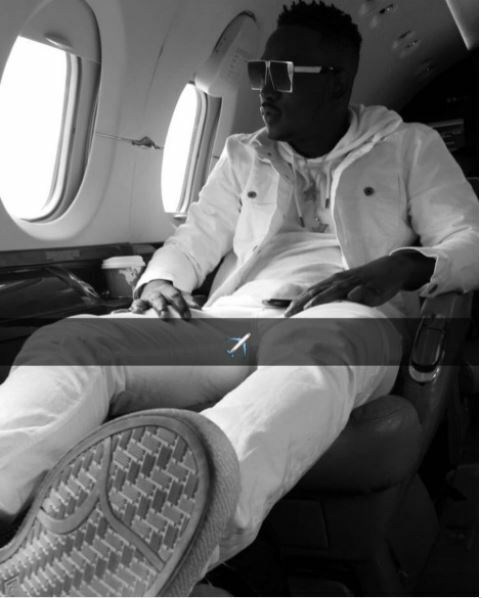 This has been described as expository piece on the fake lives most Nigerian celebrities live. 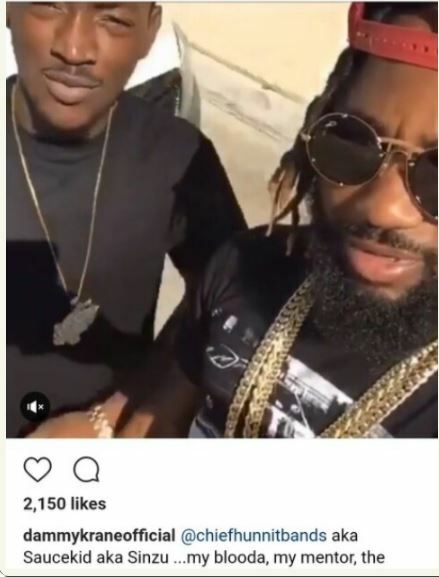 His close friend, Saucekid has also being in and out of jail in America over fraud related offences. Such a crime in America could carry a maximum fine of $1,000 or so, and a sentence of up to one year in the county jail. As the value of the property received increases, so does the penalty. 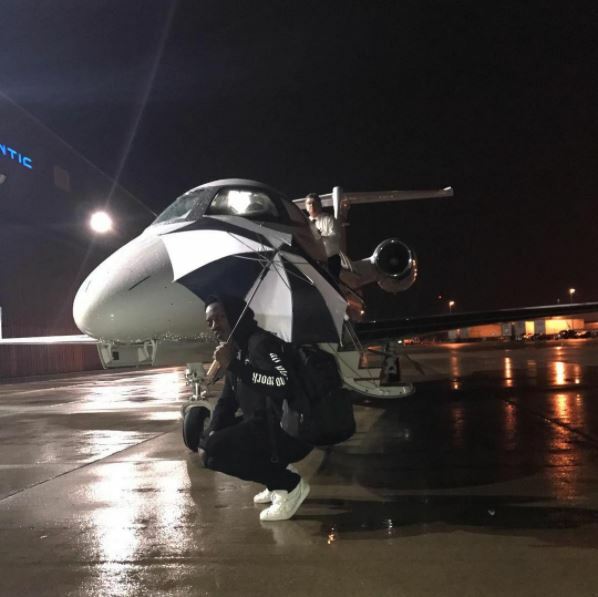 Felony credit card fraud in which property of significant value was obtained might be punishable by a $25,000 fine and 15 years in prison. 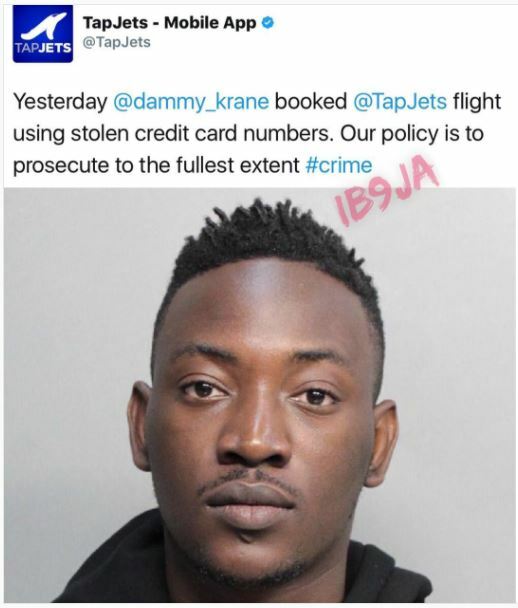 Meanwhile, Dammy Krane has been posting on Twitter to play down reports on his arrest but reports gathered have it that his social media managers might be behind the sactions as part of a damage control mechanism.